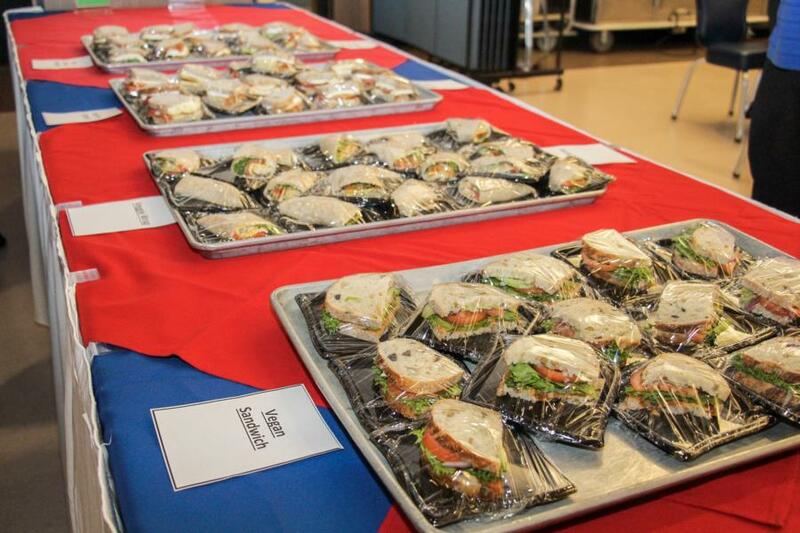 Recently we attended the 3rd Quarterly Cadet Food Focus Group for this Academic Year. 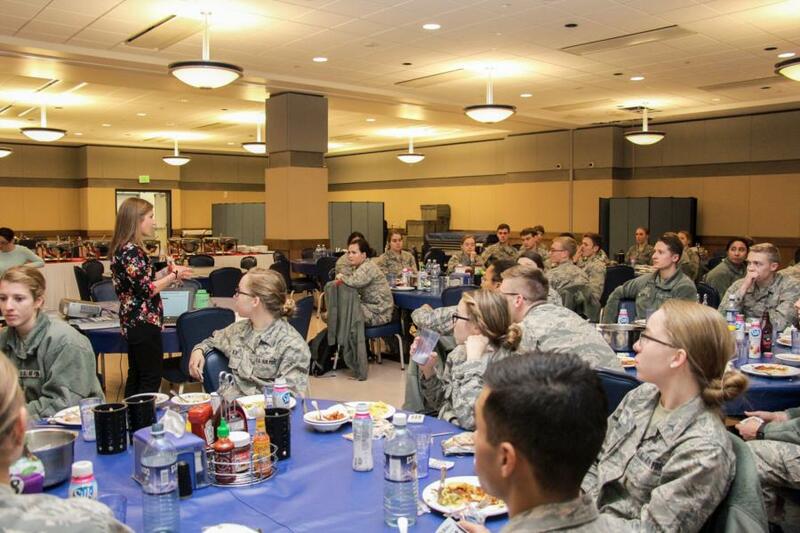 Each year the Cadets have 4 quarterly focus groups. For the first 3, all four classes are involved. With the last one later on in the Spring semester, they ask the firsties to not participate because the staff rely on the response of the continuing student body. What is the Purpose? 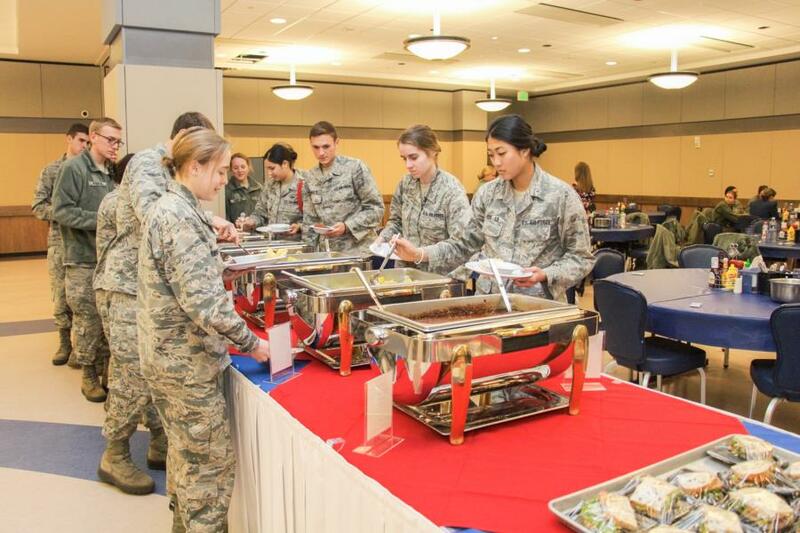 It allows Cadets the opportunity to provide feedback to Brooks Ford - USAFA's Mitchell Hall Dietitian, and the Mitchell Hall staff regarding menu items and other food issues. 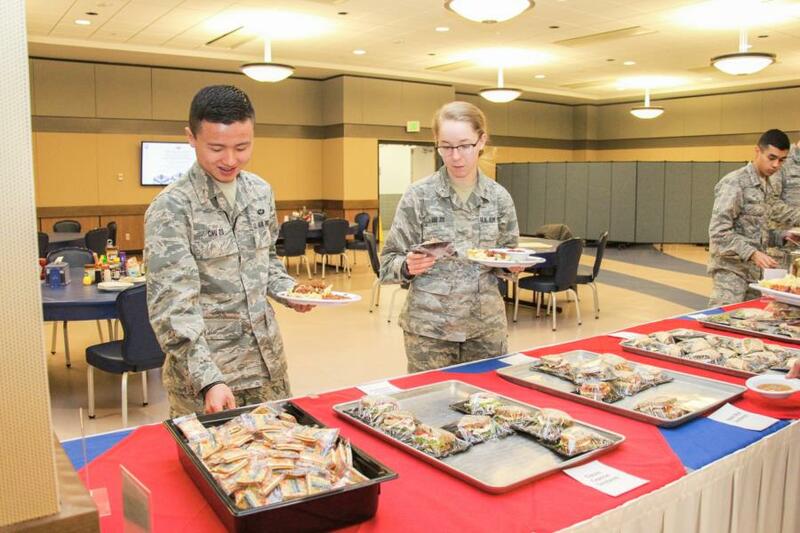 Each time the Cadets meet for the Food Focus Group new foods are rated/added to menu cycle based on 67% approval rating of focus group. Then Mitchell Hall staff provides information to cadets regarding new items, special menus, initiatives, construction updates, etc. At the end the Cadets are able to ask questions, give feedback and talk one on one with the Mitchell Hall staff in attendance. This week's group had a participation number of 12 male and 26 female Cadets and each class year was represented as well. Of the 38 participants; 5 Cadets were from the class of 2018, 7 were Cadets from the class of 2019, 21 Cadet from the class of 2020 and 5 were from the class of 2021. 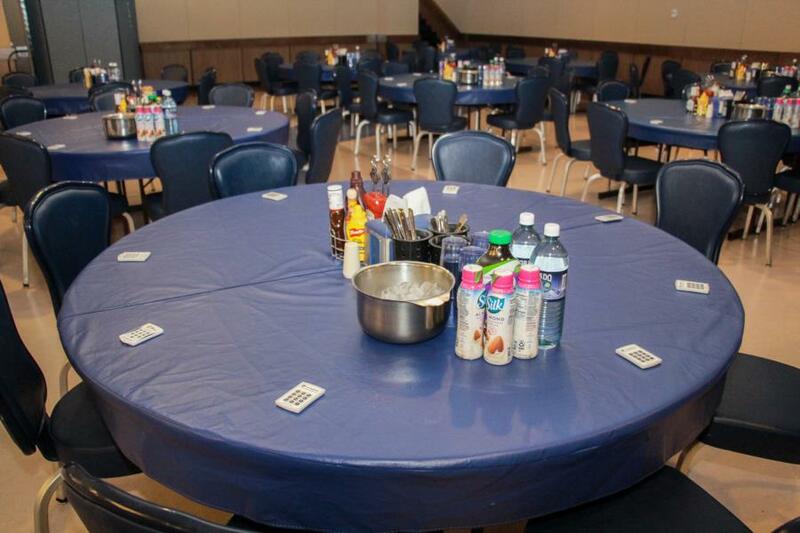 At each table they had several things for the Cadets to taste test and when they were ready to vote on them, each Cadet was provided with a clicker. 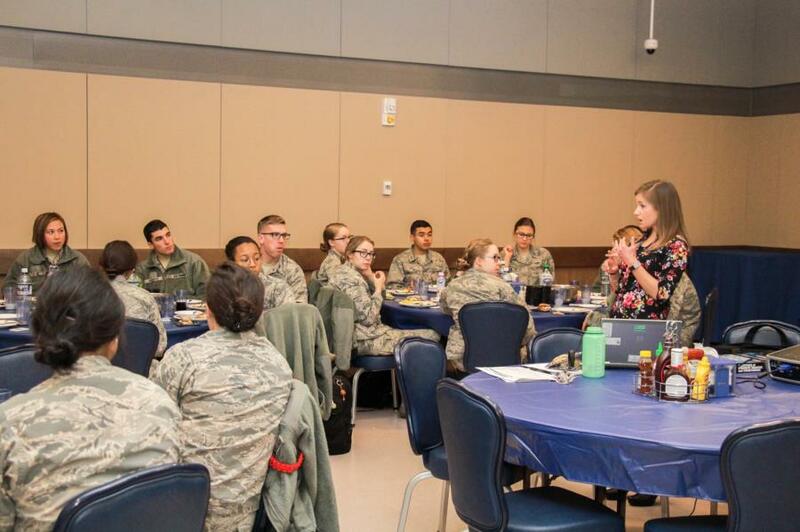 Which when used to vote on an item could be instantly viewed on screen for the Mitchell Hall staff and the cadets participating to see as feedback. 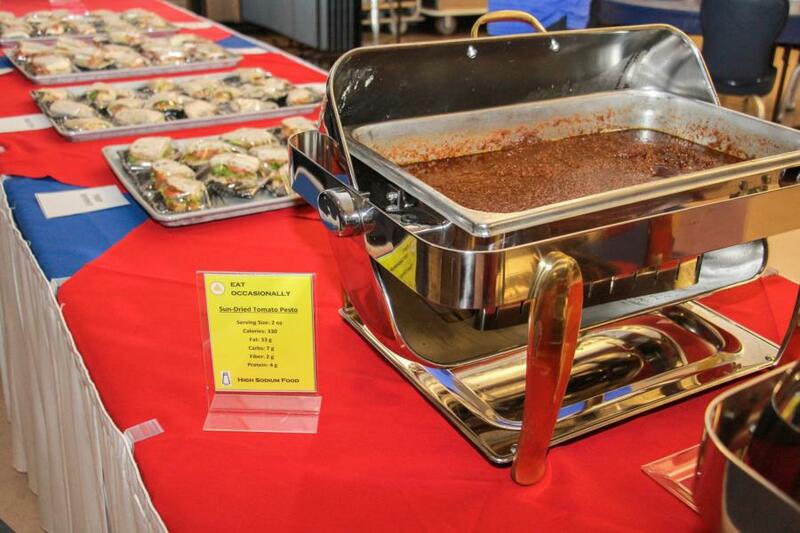 They had the opportunity to try a new Spinach Artichoke Dip Ravioli, Polenta Ravioli, Sundried Tomato Pesto Sauce, Vegetarian Green Chili, Vegan Chili, several types of catered sandwhiches, and an Almond Milk. 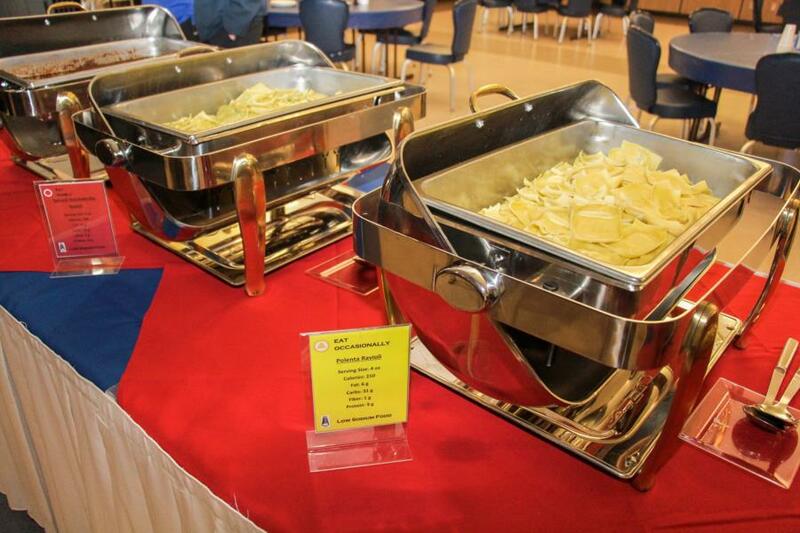 When they voted on each item they voted whether or not they liked the item and if they preferred it more or less to an item that was currently being served in Mitchell Hall. After the voting is complete the staff will then discuss with the cadets how the last focus group went and what the approval or disapproval ratings were. Then new business is discussed, for instance taking off an item on the menu or the adding of a new item as well as upcoming events. The Cadets are also given a chance to ask questions or bring up comments they might have. 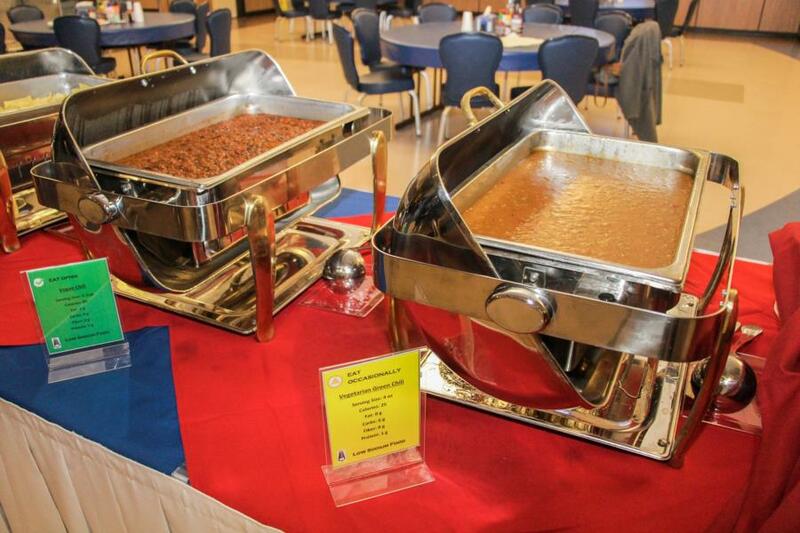 Overall this is a great opportunity for the Cadets and Mitchell Hall staff to work together to create the best menu and meal plan they can especially when the menus are planned months in advance. 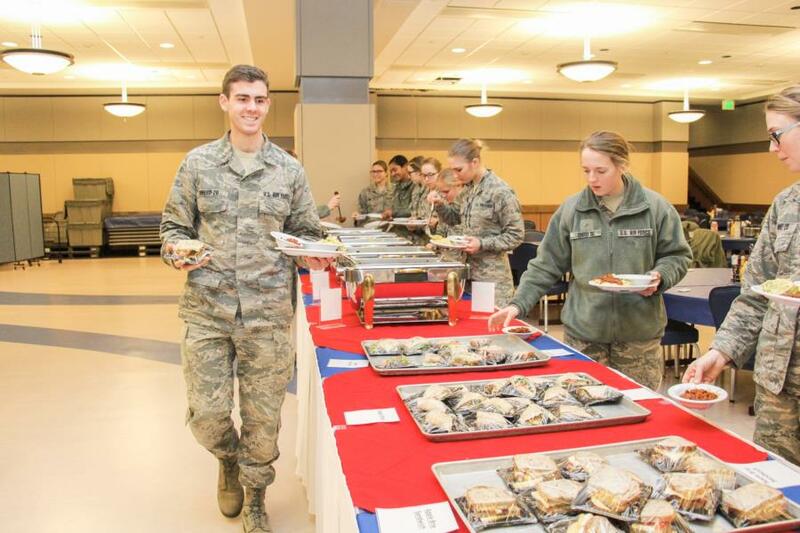 To view the rest of the pictures from our glimpse into the Quarterly Cadet Food Focus Group go to; Galleries - Extracurricular - Cadet Life. Or click the link below.